Many organisations ask applicants to complete equal opportunities monitoring forms as part of the application process in order to monitor the diversity of applicants and interviewees. Employers are entitled to do so but the information should not be used in making the actual recruitment decision and should not influence that decision in any way. Ordinarily the information will be requested by means of completion of a separate document which is submitted anonymously and is reviewed by a person unconnected with the selection process. 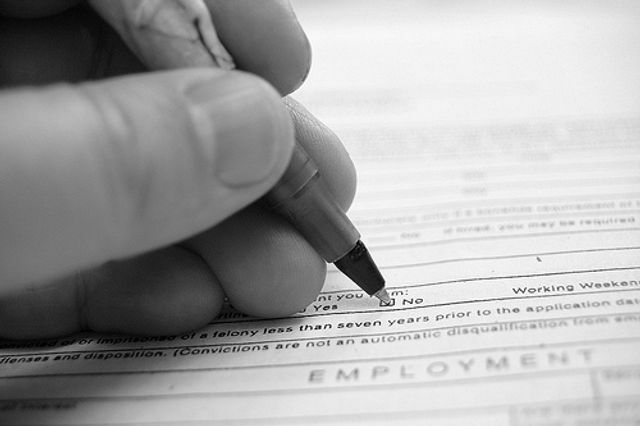 The information can be useful for employers to understand whether any stage of their recruitment process might have contributed to disparities in the workplace between different groups or created barriers to the success of applications from those with protected characteristics under the Equality Act 2010. It can help employers analyse whether their recruitment methods are attracting a wide enough cross-section of society to diversify their workforce and remove any apparent unfairness or disadvantage. The article below details the humiliation suffered by an applicant for a job at Channel 4 when she came across the "equal opportunities monitoring section" and was asked to provide information that suggested monitoring of social class, and not just the usual questions about protected characteristics, such as gender, race, disability etc. It is unclear from the facts provided, whether the information was requested on a separate form to the actual application. What is clear is that the applicant was confused about the nature and purpose of the questions to the extent that the purpose of the questions appeared to be opposite to the actual intention. This highlights the importance of explaining to applicants how the information provided will be used and who will see it, ensuring that it is provided anonymously on a separate form and clarifying that the answers will not be disclosed to anyone involved in the recruitment process. A candidate claims she was left humiliated and confused after applying for a prestigious role at Channel 4, during which she was asked probing questions about her childhood and her parent’s education. Antonia Stuart was in the middle of submitting an application for the position of Executive Assistant with the broadcaster, when she came across the “equal opportunities monitoring section”. Here, Channel 4 asked whether or not she received free school meals as a child, her household allowance when she was at school and whether or not her parents received income support.